This week, the team at 1300 SMILES discuss the importance of children's oral health. Children’s oral health is so important, and it is down to parents, grandparents and family members to ensure that we give them the best start on a lifetime of quality oral health. 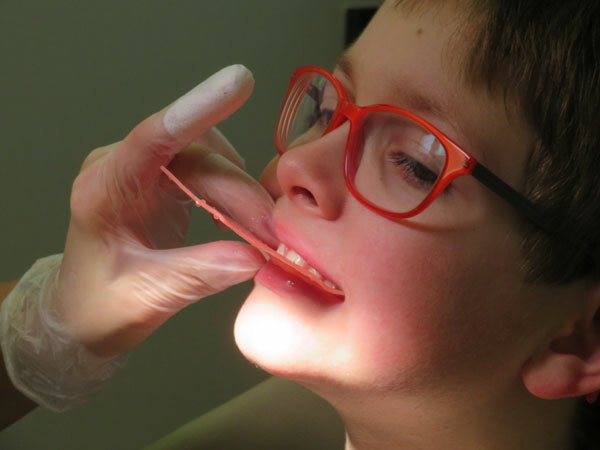 From the very young through to teens, encouraging a routine of good practice in their oral health is so important so please read on for our advice to help you from day one. Good oral hygiene starts in infancy. Whether you’re nursing or bottle feeding, you should begin incorporating some type of dental hygiene regimen as soon as possible. Before any teeth erupt, wipe down the gums with gauze or a soft, wet washcloth. Once teeth begin to come in, keep them clean. Using the right set of tools is essential for this daily ritual. For example, it is important to purchase a toothbrush designed specifically for babies, which will have a much smaller head, for their tiny mouths. As a general precaution, parents should stay away from foods rich in sugar and starch. In addition, a child should never go to sleep while nursing or with a juice or milk in their bottle. Food or drink resting in a child’s mouth can lead to issues with oral health and even worse is a choking hazard. If you have not done so already, make sure your child has their first dental visit by the time they are two years of age. Your dentist will keep your child’s teeth healthy by removing plaque build-up and food debris that may be stuck in their teeth. This is an important part of dental care because it prevents bacteria from continuing to grow, which may eventually lead to other dental diseases (e.g. tooth decay or inflammation of the gum tissue). Make your regular visits to the dentist a fun adventure at 1300SMILES we have the Tooth Fairy Club which is free to all and includes games and colouring fun. Overall frequency is very much the decision of your dental professional. If there is remedial or preventative work to be done, then your dentist may ask to see you more often. Otherwise every six months is standard for both adults and children. Eligible children will have access to a benefit cap of $1,000 over a two-calendar year period. Families can check whether their child or children are eligible for the CDBS by contacting the Department of Human Services. Dental professionals will provide you with expert tips on how to take care of your child’s teeth at home. Advice typically includes the proper way to floss and brush your child’s teeth and additional information based on the specific condition of your child’s teeth. It is an unfortunate fact that in Australia a very high percentage of children have had teeth removed or develop cavities by the age of ten. This can so easily be avoided if a correct routine is introduced and encouraged along with regular checks with your friendly 1300SMILES dentist. We have FREE guides to take away including a brushing chart to help you. It’s important to get a healthy balance, we all know that treats of some sort will be consumed. However, it’s how we encourage our children to look after their teeth after meal times that matters. Encourage your children to have healthy snacks & drinks and where possible avoid sugary or carbonated drinks. Check the packaging when purchasing on how much sugar is contained in food and drink, normally the higher it is on a list of ingredients the more that product contains. Water is by far the best drink to have as it’s both free from sugar and helps digestion. Did you know that approximately 75% of all oral sports injuries are preventable just by wearing a mouthguard! A staggering fact that many dentists believe can be reduced by getting a custom mouthguard for your child. Children have remarkable energy, they don’t always think of the consequences of their actions and in sports this is multiplied even more so. During their early years and whilst they have just received their adult teeth oral protection is even more important to stop damage that may cost a great deal to put right later. Investment in a good mouthguard, that’s fitted and moulded to the teeth will ensure that your child can participate in their active sport without fear of an oral injury. previousTriple P Parenting - How Can They Help You?